When it comes to small bathrooms, there's only room for the necessities so you have to make every square inch count, including the floor. The most popular types of tile used in bathroom makeovers are: cement, porcelain, and ceramic. And while porcelain and ceramic tile are very similar, there are several differences. According to Subway Ceramics, people tend to favor ceramic tile because it's easier to install and it is generally more cost-effective, however, porcelain tile is more durable and less porous. So if you still can't make up your mind, just take a look at these 10 gorgeous, spatially challenged bathrooms with ceramic tile floors — they're sure to do the trick! 1. Make the floor your focal point. It takes guts to choose such a bold bathroom tile. (After all, you'll probably be stuck with it for a while.) But if you dare, the results can be stunning. 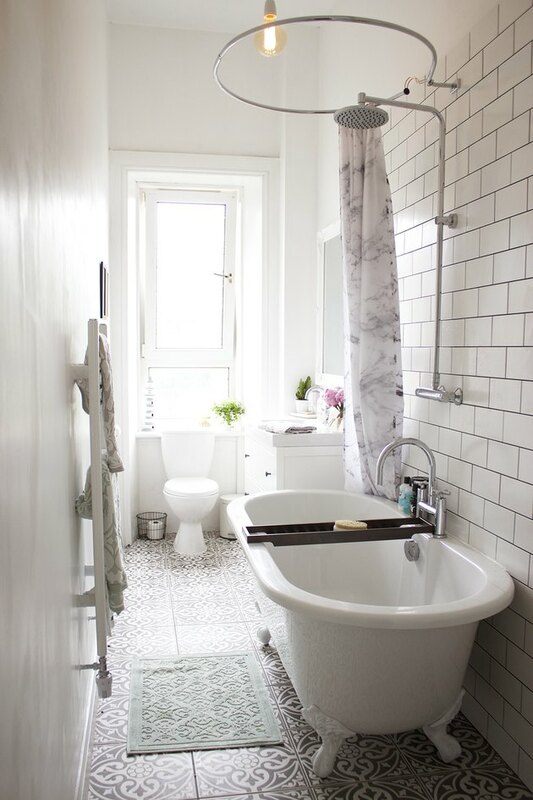 Just look at the chic black-and-white patterned floor in Kate La Vie's narrow bathroom. 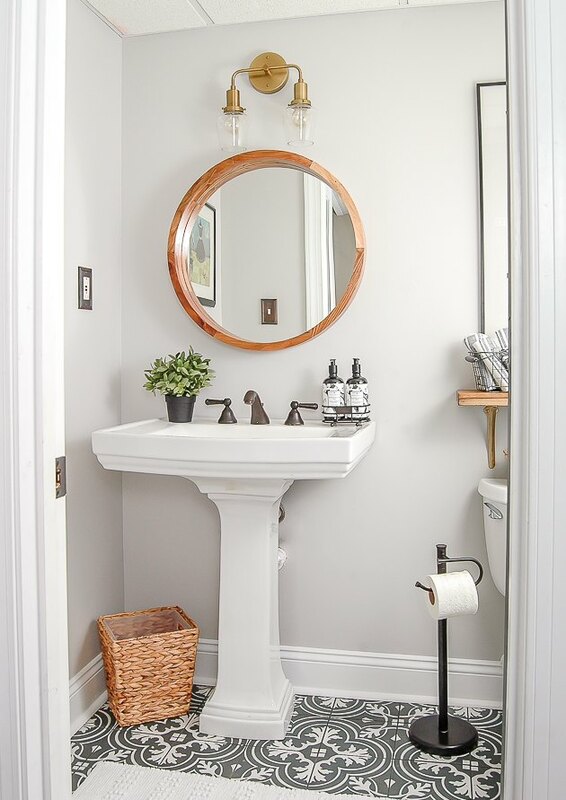 She was able to make an impactful statement without making her bathroom feel smaller. 2. Don't repeat the wall tile. Instead of just using the same tile throughout your entire space, choose complementary designs for the walls and floors. The consistent color palette will make your small space feel bigger. While the subtle contrast will emphasize your flooring as a decor accent, like this farmhouse-style beauty designed by Sita Montgomery Interiors. Large patterns can overwhelm a cramped space, which is why thinking small in terms of your bathroom floor's tile pattern is a good idea. For example, Bre from Brepurposed used this honeycomb mosaic tile in her master bathroom. 4. Look sleek with large-scale tile. The larger the tile, the fewer you'll need — which means more flat surface area with fewer grout lines. The effect is a clean and understated floor, ideal for modern bathrooms. 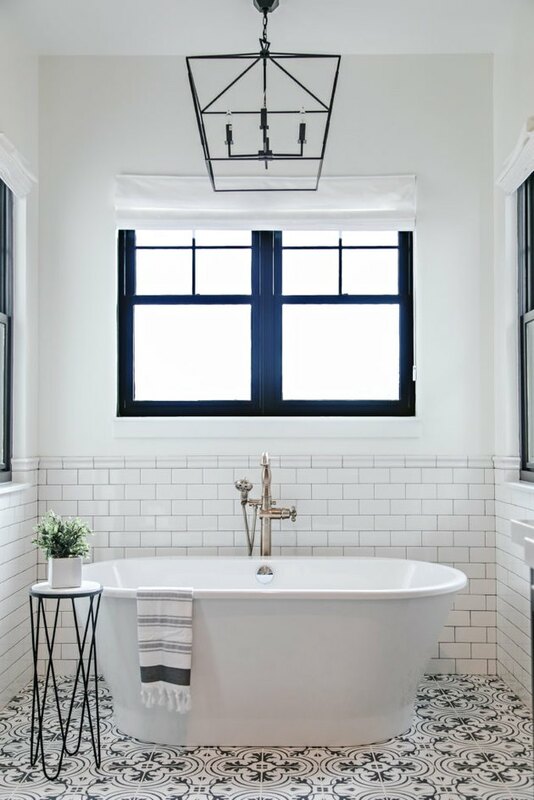 The dark charcoal option in this industrial bathroom designed by Kristina Lynne is reminiscent of slate, but has a smooth finish. 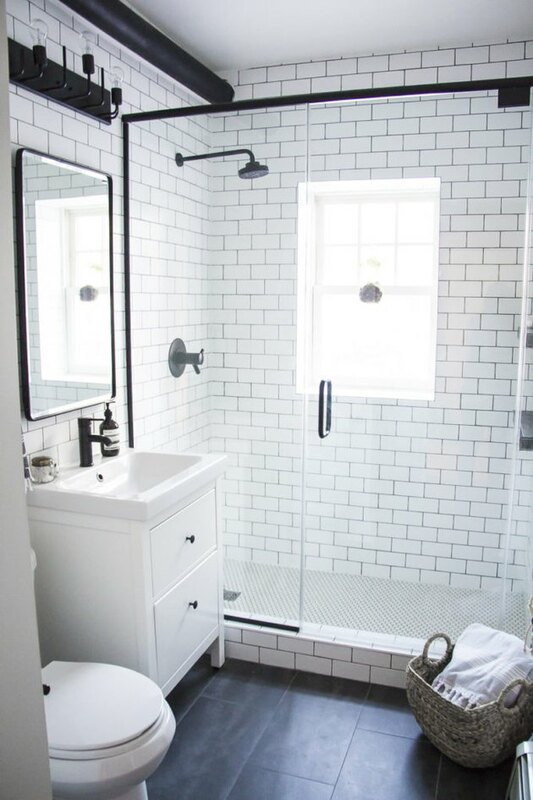 Gray and white ceramic tile with a charming old-world pattern gives Katie from the Little House of Four's bathroom some vintage flair. 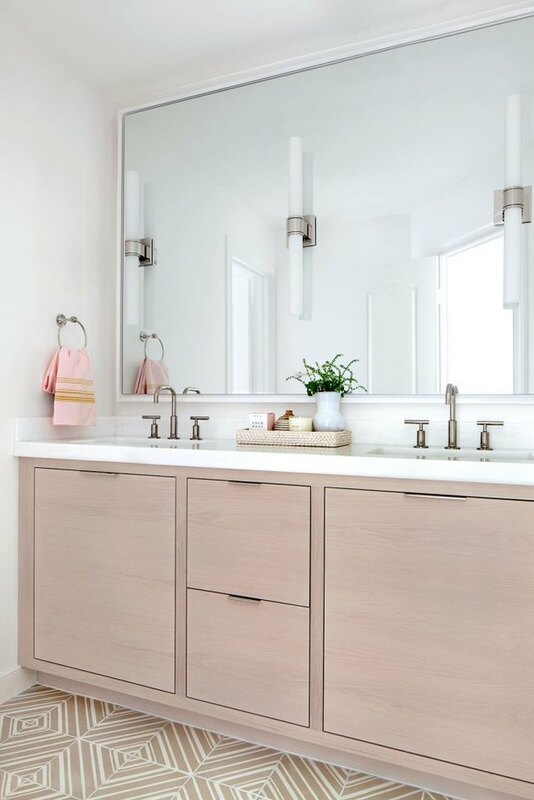 And when paired with warm wood accents and a sleek pedestal sink the overall look is decisively modern. 6. Try a geometric pattern. 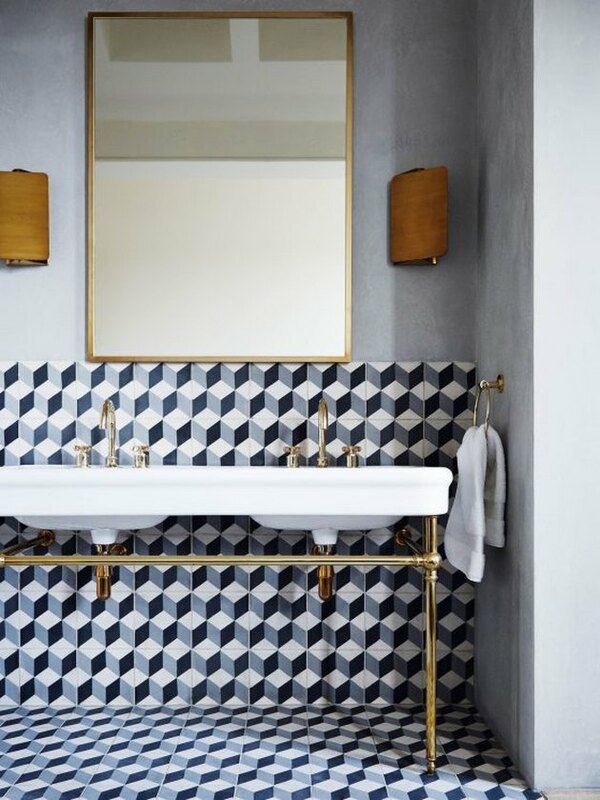 In a small townhouse in London, designed by Suzy Hoodless and Hackett Holland, a minimalist bathroom gets a pop of personality thanks to the contrasting geometric patterned tile. By keeping the rest of the decor understated, the 3-D pattern can take center stage — without feeling too overwhelming, even when you lack square footage. Consider the finish when looking for your perfect floor tile. Matte finishes tend to look more rustic and understated, while high-gloss finishes — like this green hexagon-shaped mosaic — add a bit of drama. 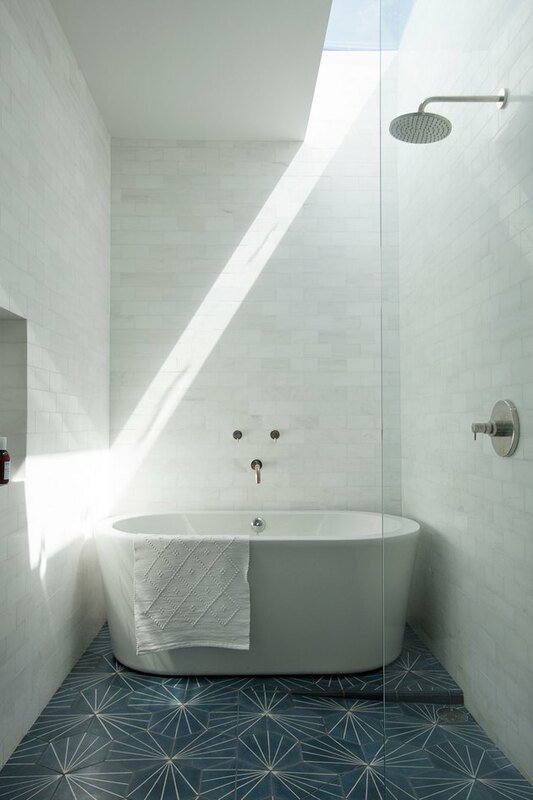 Not to mention a polished finish will help to reflect the light which is always welcome in a small bathroom. 8. Don't shy away from color. Tile in bright, jewel-tone hues used to feel dated — like something you'd find in your grandmother's house. But there's a way to do colorful tile right. The secret is to keep the rest of the room modern and minimal, so the tile can shine adding larger than life personality to a small space . 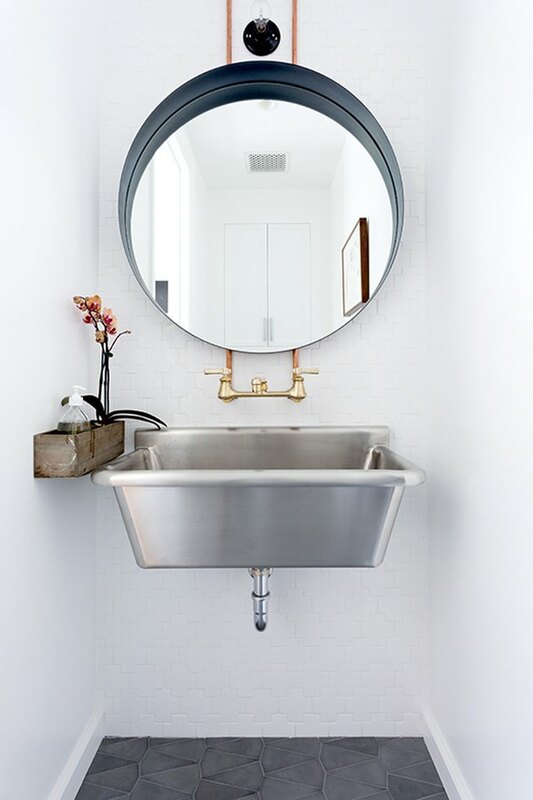 L.A.-based designer Deborah Rhein used matte, triangular floor tiles (that were handmade) to bring this industrial-chic look together — metal trough sink and all! 10. Design your own pattern. If nothing's out there that suits your small bathroom (or your price point), get creative and come up with your own design. 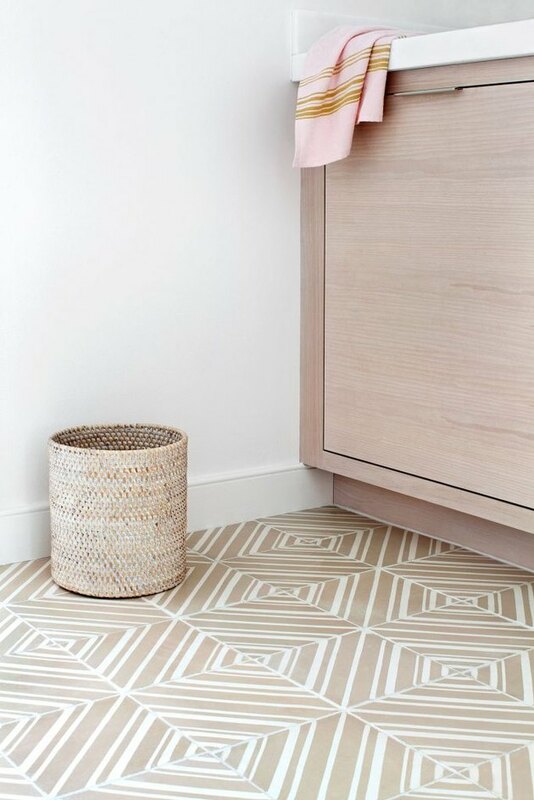 In this space, Elizabeth Lawson used handmade, patterned ceramic floor tile to create a one-of-a-kind look.